← What’s Happening To The Flowers At Fukushima? Here’s an appliance to help you make perfect pizza every time, and we mean every time. The same technology being used to make guns, toys and even diamond rings, is being applied to homemade food. Barcelona-based 3D printing startup Natural Machines is releasing the Foodini, a 3D printer that allows cooks to create perfectly formed meals, reports the BBC. Users can combine up to six ingredients to at a time, and with a push of a button, the food comes out of the nozzle in a preprogrammed pattern. Think evenly made pizzas, burgers, and ravioli. And it’s designed so the ordinary home cook can use it. The Foodini, which looks a bit like a miniature oven, can also perform other useful food prep tasks, like decorate cakes. However, it can only print in one material at a time, so you’ll have to switch different ingredients as you print. And it can only combine ingredients and not actually cook them. But the concept is interesting because while it automates food production, it also allows home cooks to make items they would otherwise get from the box, like pasta. 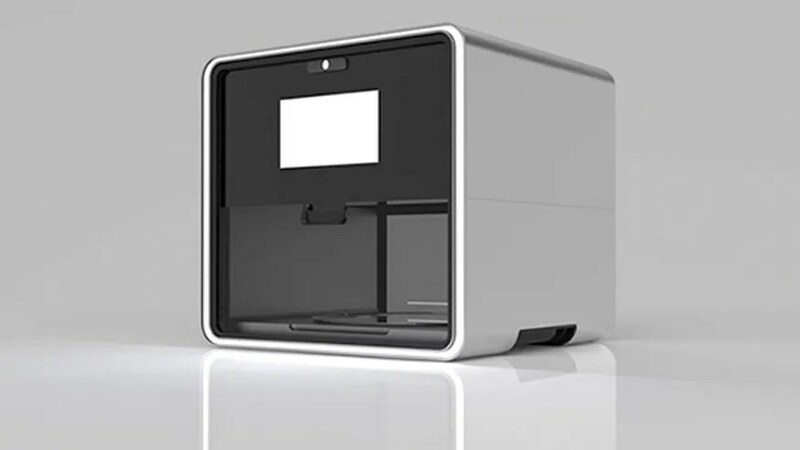 The Foodini is expected to go on sale this spring for about $1,400.